Successfully saved Easy Quiche Recipe to your Calendar. You can also save the ingredients to your Grocery List. 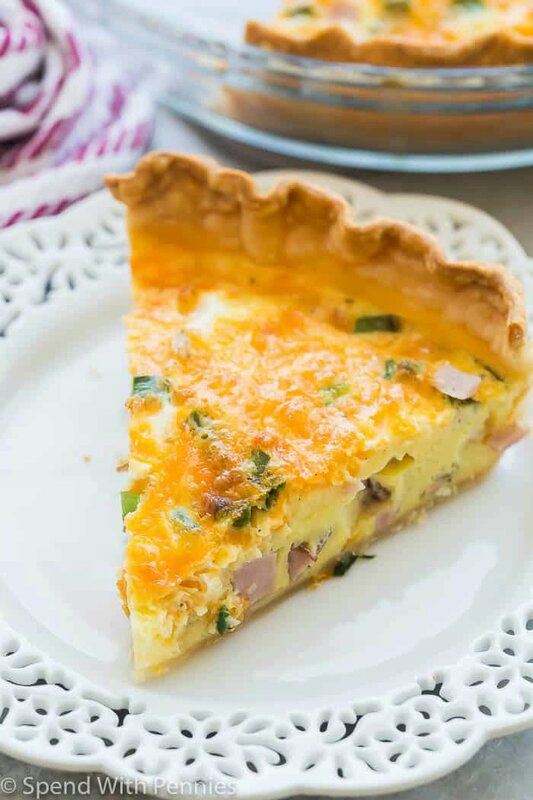 This Easy Quiche Recipe starts with a premade pie crust but no one has to know! It's loaded with ham, cheese and green onions and is the perfect easy breakfast or dinner! You can really add anything you want to this easy quiche recipe -- other vegetables, different cheeses or seasonings.